Blast Off Exteriors’ low Pressure washing service removes mold, mildew, dirt, cobwebs, etc. safely and makes your property look like new. Whether its vinyl siding, brick, stucco, dryvit, aluminum or a painted surface, Blast Off Exteriors can low pressure clean your property safely. Blast off Exteriors is the area’s premier exterior cleaning service. 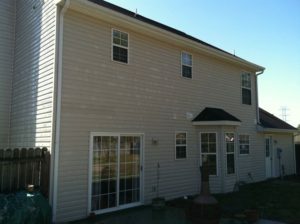 We currently service the entire Hampton Roads Peninsula area. However, Our service area extends greatly for large accounts with multiple locations. Blast Off Exteriors services residential, commercial and industrial clients. From homeowners, property managers, Realtors, restaurants, retail properties, and fuel stations, to hospitals, warehouses, and loading docks we are the right choice for all of your pressure cleaning needs. Whether you’re a homeowner in Virginia, a single restaurant, or part of a multi-unit chain we look forward to working with you. And PROMISE to make your dirt our concern! Have you heard? You get what you pay for! Beware of fly-by night pressure washing businesses offering to clean for less than half the price of our services. 95% of pressure washing businesses are here today and gone tomorrow, basically looking for a quick buck and willing to do anything to get it. These companies are rarely insured, have very little skill, and more often than not do more damage than cleaning. Blast Off Exteriors receives many calls every year to come and fix what someone else has messed up. 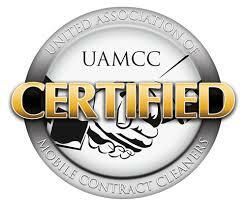 Professional pressure cleaners use professional equipment and professional products to achieve professional results. Jason, I got to see the house yesterday. You did a great job! Thank you, it really looks great. I will definitely be calling you next year. Just had to send a compliment and thank you for your wonderful work on our (super dirty) gutters. Thanks so much for your friendly service! Blast Off Exteriors swept the roof, cleaned out the gutters, cleaned our deck, cleaned our front porch and pressure washed our driveway. Everything looks Great!! Thanks for doing a great job cleaning our house, garage and shop, We’ll be calling you back to clean our roof and driveway soon. WOW! Your Company (Blast Off Exteriors) did a fantastic job cleaning my in-ground paver pool deck and large aggregate driveway. I will definitely recommend you to my neighbors. I’m happy and satisfied with my house washing service. I am recommending Jason and Blast Off Exteriors to my friends and co workers. For over 16 years, Blast Off Exteriors has been providing professional services to Virginia. Let us serve you next!